Using a basic cream sauce here's some inspirational ideas for the classic American dish of Mac & Cheese! In a pan melt butter, add flour over medium high heat. Mix until mixture looks like dough - "roux". Slowly add milk stirring rapidly. Cook until mixture is same texture, add more milk, continue until thickness desired. Once you make a basic white sauce, you could add a bit more milk to thin it out because the cheese adds a bit of "gumminess"
Grate in your favourite cheeses. For a mild flavour go with a basic white cheddar. For more punch go with older aged cheeses or a blend of mild and sharp. For a gourmet version add the french Gruyere or Comte cheeses or mimolette cheese for it's distinct flavour, mix it with a good melting cheese. Add feta for a creamy fresh taste. If you want a really quick (special occasion) version and you got heavy cream on hand then drizzle a bit into a pan, just as it starts to bubble start adding your cheese and you got an instant cream or cheese sauce for gnocchi, pasta, or vegetables like broccoli, cauliflower or brussel sprouts. Recently my sisters started adding lemon pepper spice to their mac & cheese! 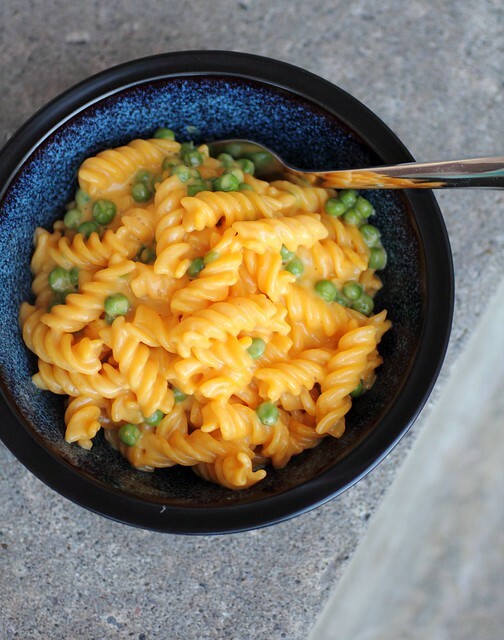 I'd love to hear from you so feel free to write me a comment and tell me what you love to add to your mac & cheese!